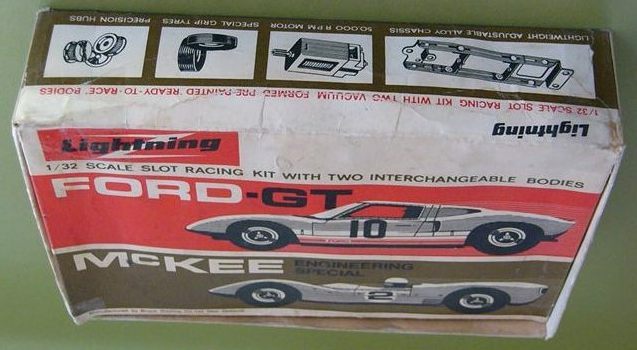 Due to high tariffs in the 60s on imported American toys into New Zealand, US slotcars were inherently very expensive, this in turn bolstered the local manufacturing of slotcars. 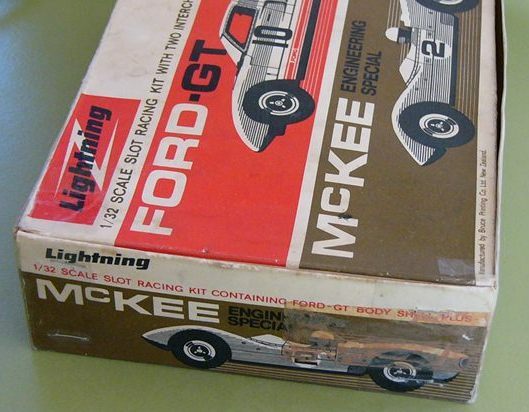 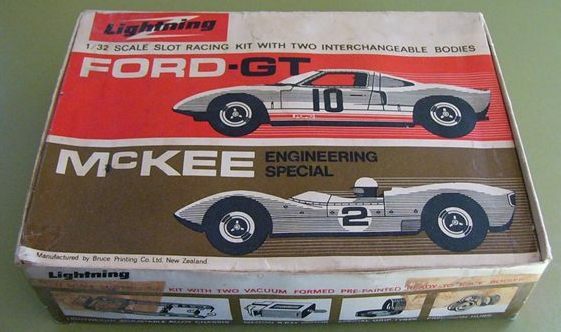 Lightning (not to be confused with the Johnny Lightning brand of slotcars) traded from the 60s for a couple of decades manufacturing clones of the Revell slotcars and manufactured both a hard and vacuum formed body in 1/32 scale. 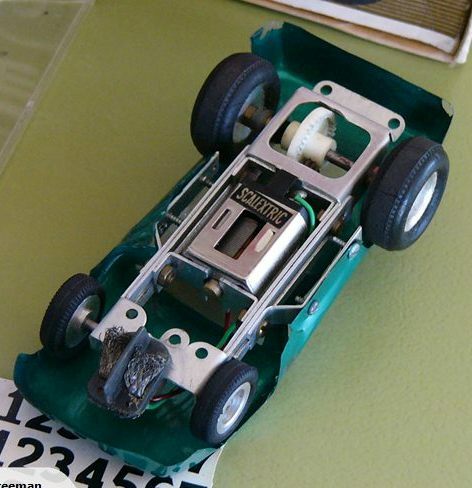 The Lightning cars employed replicas of the Revell aluminium ladder chassis components (presumably made under licence) and went on to make a number of kits with vac formed bodies right up to the mid 80s using the same Revell cloned chassis with aluminium body mounts. 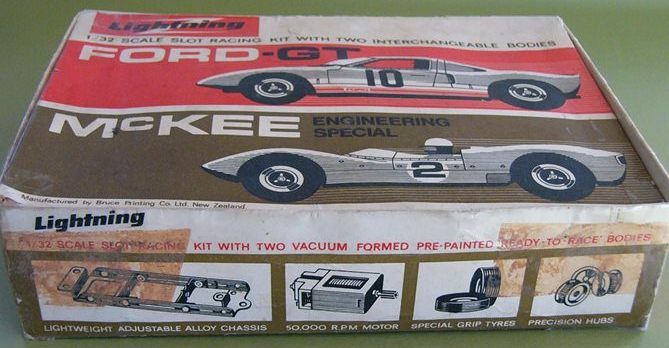 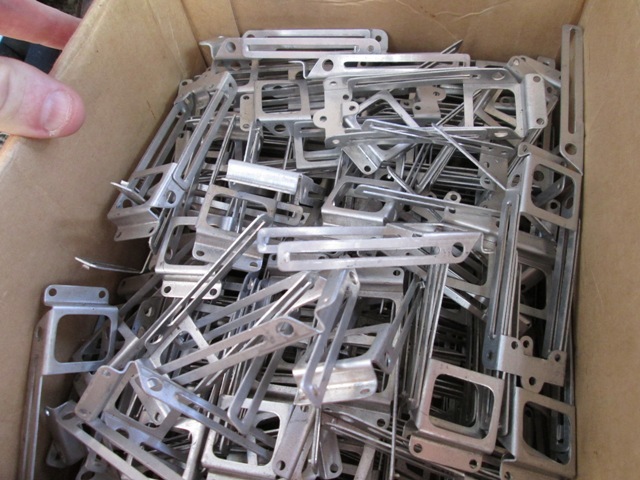 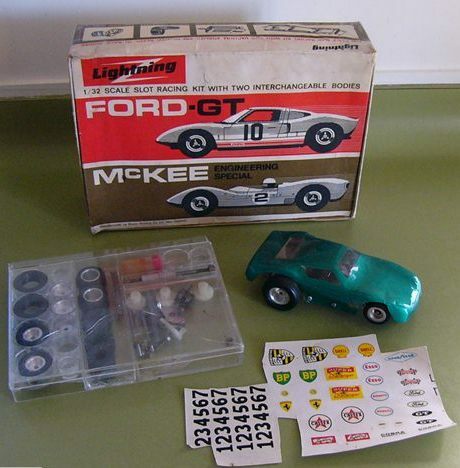 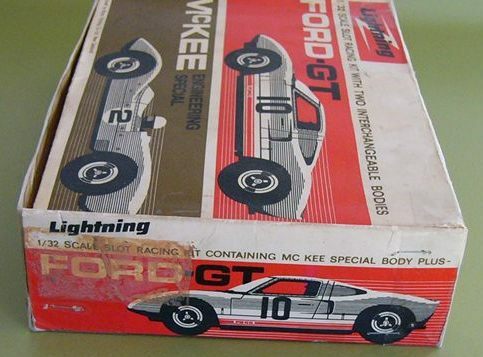 Little more is known of this company and sourcing information and stock images of their product line is very difficult, making the GT40 manufactured by lightning a rare model.